Joseph Mallozzi's Weblog: July 21, 2010: Another chocolate tasting! Jelly shows off! 100 Science Fiction Novels Everyone Should Read – How many have you read? Solution’s tribute to Robert Cooper! July 21, 2010: Another chocolate tasting! Jelly shows off! 100 Science Fiction Novels Everyone Should Read – How many have you read? Solution’s tribute to Robert Cooper! 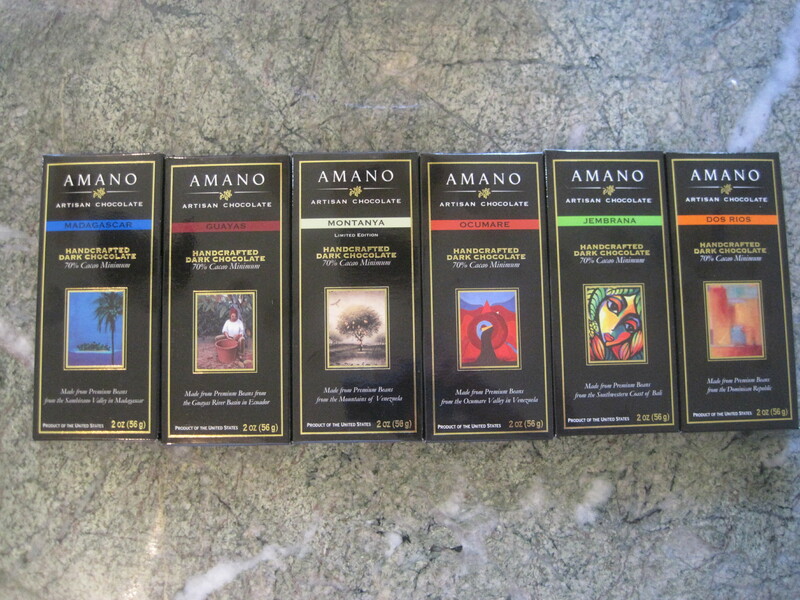 Even though they’ve only been in business since 2006, Amano produces chocolate on par with the world’s best. And, while quite frankly all six bars were terrific, one stood out as best among an excellent assortment. The Dos Rios dark chocolate bar, made from beans from the Dominican Republic possesses a subtle bergamot orange undercurrent that had Akemi uttering “Earl Grey!” after the first bite. Hints of clove and cinnamon round out the flavor profile. Easily one of my top ten favorites alongside Amedei’s chuao the Pralus papouasie. Okay, now she’s just showing off. Two months from now she’ll be doing the doggy triathlon. Every month or so, a website posts one of these Top 100 book lists and I invariably take the time to count off how many titles I’ve actually read. Of the 100 Science Fiction Novels Everyone Should Read (http://bookstove.com/science-fiction/100-science-fiction-novels-everyone-should-read/) I scored a somewhat respectable (?) 47/100 although my reading repertoire is missing some seminal works including Stranger in a Strange Land, Starship Troopers, and Dune! Thanks to Michelle for providing a link to the following tribute to Robert C Cooper from the gang at Solutions. And just in time for what may well be his final Stargate-related Comic Con appearance. And, finally, since somebody asked (Randomness I believe it was): on the anime front, I’m presently four discs deep into Mushi-shi, a series that failed to pique my interest the first (not one, but) two times I sat down to watch it but that now – after a little perseverance – ranks among my Top 25 favorite anime series. At turns humorous, horrifying, touching, and just plain terrific. Previous Article July 20, 2010: Charting Jelly’s progress! The Masked soundtrack! Last days of Atlantis II! Next Article July 22, 2010: Cobre! Ivon! Rodney’s Oyster House! Akemi! Visual Effects Spotting with Mark, Mike, and Bones! Amazing! Kisses to Ms Jelly, and hoping the improvement continues! That’s great about Jelly! Getting caught up with your last few journals and the Hubby and I loved watching the videos of Jelly. It’s great to see her much improved :)! Wow!!! Jelly seems to be doing well! Hope she keeps showing improvement. Watchout, Joe! The next thing you’ll know, she’ll be “borrowing” the car and doing “donuts” on the front lawn! Thanks for posting the link to the RCC Tribute on Solutions. A well rounded piece. (Thank you Michelle). LOVE the soundtrack idea to Masked. For those who don’t know the song (all two of you!) here’s a link to the song/video…. Awww it’s so nice to see Jelly taking the steps!!! Of the 100 essential scifi novels, I have only read 8. Despicable! I guess I’ve got some reading to do…. That’s really such great news about Jelly! Great work on finding out about that procedure Joe! Btw, Dune is one of my all time favorite books. I highly recommend it! Jelly’s improvement is *so* wonderful to see! It’s incredibly moving to see obvious relief from pain and lack of mobility in any animal or human. I’m trying to put myself in your place, seeing these very encouraging early results . . . I would be blown away. Will keep hoping for even more improvement. – This has been one of the best story arcs ever, and it’s real . . .
Nice link for the list. I count 32 off the top of my head, I’d have to go back through my collection to see if there were any more. Oh wait! I can’t they were left in an old house of ours and when I found out and went back they had been tossed… along with a lot of other stuff of mine. Well, I’m at 40 on that list. In fact, one of them is what started my love of Sci Fi. I was in grade 7, and we had to go to the school library and pick a book, any book, read it and write a book report on it. I chose War of the Worlds by H.G. Wells (#32). Read it. Loved it. And have loved Sci Fi ever since. I posted a rant on here a while back about how SiaSL (unabridged) comes to a satisfying conclusion right smack in the middle, then it’s all preachiness and supporting “logic” that works only because Heinlein said so. I thought you would feel my pain, Man. BTW, the first half of the book really is very good. It would have to be to support the last half being that bad. I was kicking myself that I recognized a satisfying conclusion for what it was and didn’t stop reading when it became annoying because I thought all science fiction fans just had to finish it to have nerd cred – guess not. And Dune? Say it isn’t so. I think those were the first fiction books I picked up outside school (bad experience reading Great Expectations turned me off for a while). I couldn’t help but read all six of Frank Herbert’s. Then, I listened to half of one of his son’s contributions and I haven’t recovered – that disturbing. But those six books were super-awesome and kept getting awesomer. The second half of the trilogy doesn’t seem like it could possibly be an afterthought. It seemed like it was planned that way all along. I’d probably score pretty low unless books on tape count. If you haven’t found a place for pizza, try the Nook Restaurant. Best in Vancouver according to Jewel Staite. Go Jelly Go! Made me smile. I’ve been lurking, very stressed over my stubborn elderly father who did not want home nurses or assisted living. He barely spoke for the last two days, then last night he passed away in his sleep, his cats by his side. He was 87 and missed mom a lot. He lived his life on his terms, and he chose to leave his way too. I am sad, but I am good with the end of his life. Poor kitties are looking for him…. 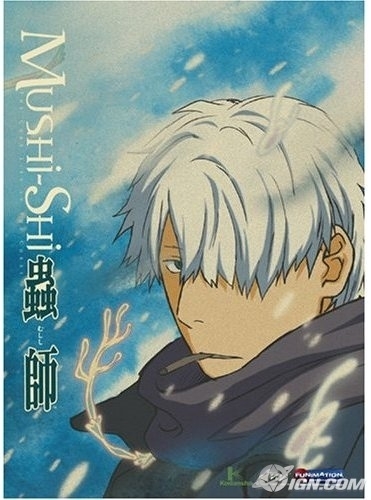 I’m glad you are enjoying Mushishi! One of my all time favorites. The music and the art are outstanding and I love the stories. I have the sound-track and listen to is often. It’s not an action-heavy anime and has a more episodic style than many others, which may be why you didn’t get into it the first time (or two). I think hanging out with Akemi has mellowed you. It’s great to see Jelly doing so well. Hi Joe! Glad to see Jelly is getting better! Can you say if any cast from the other shows will be appearing in SGU (you don’t have to specify who) in S2? And if we wanted to send stuff to any of the cast would we be able to do it and if so where would we have to send it? Definately excited about a SGA crossover episode! Look at that girl go! Whatever the therapy cost, it was worth it. Re: Dune. A great book. Do NOT, I repeat, DO NOT watch the movie. Hi Joe! I can’t remember if this was asked before but I would really like to have the soundtrack of sgu, is there any release date on sight? Joe you must be thrilled about Jelly. I know that if it were me and seeing someone I cared about so much doing better it would probably make me cry. Hmmm. My computer won’t let me access your link to the 100 sci fi novels. It says “forbidden” – very ominous. Very, VERY glad to hear that Jelly’s improving! On the anime front, I just started watching Samurai Champloo with my family… Have you seen it? We’re really enjoying it so far. Apparently it’s by the team that made Cowboy Bebop. @maggiemayday: So sorry to hear of your loss. May good memories remain. Got there a different way: 41/100. However, some of them I read so long ago that I no longer remember the plots. I’ll have to save the list and give some of the others a shot. Way to go, Jelly! That is quite an improvement. She may be an old gal, but she’s stylin’. I have read 17 of the books, and seen 20 movie versions. Thornyrose — I got a forbidden message on the link too. I typed in the title “100 Science Fiction Books, etc.” on search and was able to bring it up as a cached page. Artisan chocolates… drifts off into chocolate haze…..